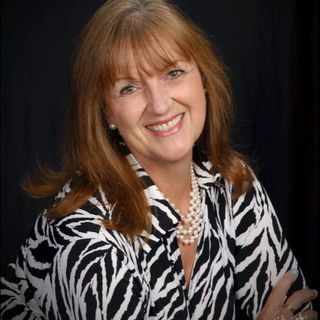 A communications expert, award-winning speaker, and corporate consultant, Mary Nestor-Harper, SPHR, SHRM-SCP, shows organizations and individuals how to “Say It Now! Say It Right” – communications tips and techniques to easily handle the tough (and tender) conversations in any situation. Her real-world experience and no-nonsense, straight-talking presentations deliver valuable strategies that help individuals and organizations engage in honest, direct conversations that improve ... See More relationships, build confidence, improve performance, increase sales, encourage collaboration and spark creativity. She uses her sometimes off-beat, sometimes poignant, but always interesting business and personal life experiences so you get the real deal…someone who has been there and done it. Working with individuals and organizations, Mary discovered that many people in the workforce faced challenges and missed opportunities simply because they did not “speak up” when the opportunity presented itself. In this exciting and highly engaging interview, Mary shares strategies on how to SAY IT NOW! and SAY IT RIGHT! -- effective ways helps us to communicate your true feelings honestly and clearly without upsetting the other person. Contact Mary at mary@mjnhconsulting.com or visit the website www.mjnhconsulting.com. Her new book, “SAY IT NOW! SAY IT RIGHT—How to Easily Handle the Tough (and Tender) Topics in Any Situation” will be available early 2016.